That’s right. 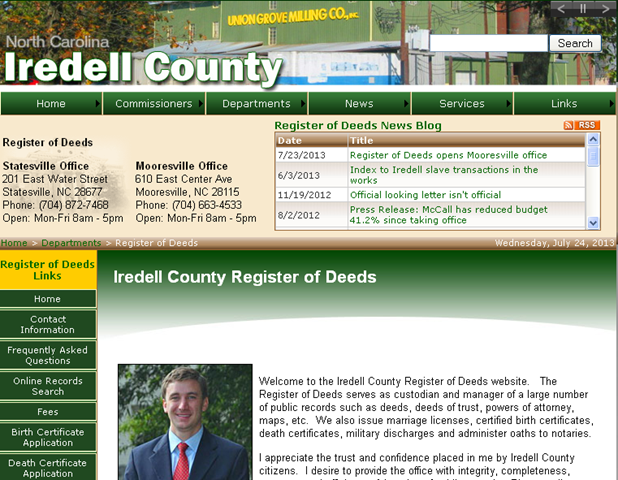 Mooresville NC just opened a satellite office for the Register of Deeds. This is good news for those buyers and sellers that close in the southern part of Iredell County. The main office of the Iredell County Register of Deeds is located in Statesville now and attorneys have to use couriers to record the final documents. In many cases, the new buyers are unable to receive the keys to their new home until the deed is recorded and it becomes a waiting game. The new office will be located close to downtown Mooresville in the old Lowrance Hospital on Center St. Read more…. 2013 is going to be a great year in Iredell County and the Lake Norman Region. 2013 is going to be a great year! We keep hearing this over and over but is it really true? Let’s take a look at why we are hearing this in the Lake Norman area in North Carolina. The market area that I want to talk about are the towns of Mooresville, Statesville, Troutman, Cornelius and Davidson areas. Iredell county is changing and the smell of recovery is in the air. For the last couple of years, I have been saying that we were going to come to a time that the housing inventory is depleted and with no new construction, buyers would struggle to find homes. Well….that time has arrived in full force. the Lake Norman area was booming in 2007 with new homes and communities popping up everywhere, huge homes priced over $500,000 were the norm, builders were fat with inventory and there weren’t signs of it slowing down, but oh how it did slow down. Today, new home communities sit deserted, there’s limited new construction inventory and banks are still holding a tight rein on funds but this area is not to be held down! As of December 2012, Mooresville has less than4 months of housing inventory and buyers are sitting around wondering what happened. In just a very short period of time, we have flipped from a buyers market to a hot sellers market. Now, don’t get me wrong, sellers still need to price their homes for the current market to be competitive but of they are even in the ball park, the homes are getting offers quickly. Buyers are getting outbid in many cases causing a sense of urgency in their buying patterns. Foreclosures and short sales are diminishing and new construction cannot keep up with current demand, creating a building frenzy. This is such great news for our area and I foresee a quick rebound to better days. New homes mean new jobs, both of which we have been missing in the last 4 years. On the downside, the appraisals are still being based off the sales of the last 6 months and in the cases of bidding wars on homes where the buyers are willing to pay a little more to get the home, the appraisal may still come in short. We are going to see a period of lag with the sale prices format least another 3 to 4 months until the current sale prices catch up. Buyers are coming to the table with money to get their homes and that eventually will help drive the prices up. STATESVILLE is still showing about 9 months of inventory but the trend is the same. A sellers market is on the way there too. Buyers, you may have missed the opportunity to "steal" a house but there are still some great prices out there for you. Don’t overlook new construction either. With a three to four month build time and builders offering over 3000 s.f for around $225,000, it is hard to pass up. Every day, I see a new flyer for new construction from Statesville to Charlotte. If you would like a list of new home communities, sign up on my website for homes that fit your budget. I am happy to recommend a builder or community to fit your lifestyle. 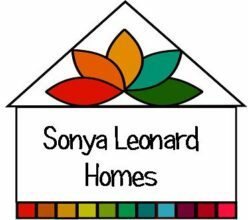 If you would like to see all the homes for sale in the Lake Norman area, visit my website at www.SonyaLeonardHomes.com or www.TheHomeStyleTeam.com to sign up for listing alerts. Posted on February 11, 2013 March 1, 2013 Author sonyal63Categories Market Data, Mooresville North Carolina, Statesville North Carolina, Troutman North CarolinaTags 2013, Iredell County, Lake Norman, Market Data, New Construction, real estate newsLeave a comment on 2013 is going to be a great year in Iredell County and the Lake Norman Region.